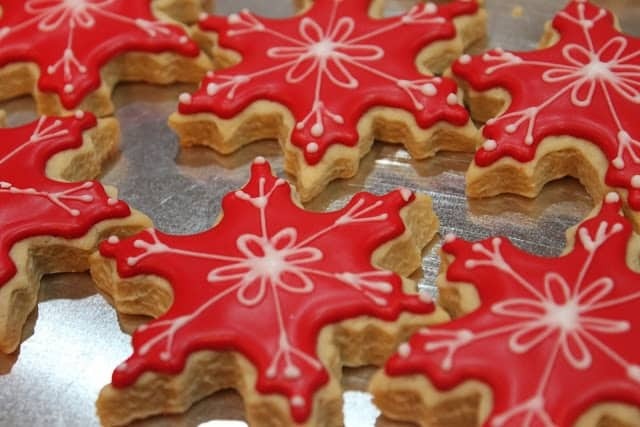 Italian Sugar Cookies are easy and delicious and with a little practice, you can be icing up batches of cookies with will impress all your friends. 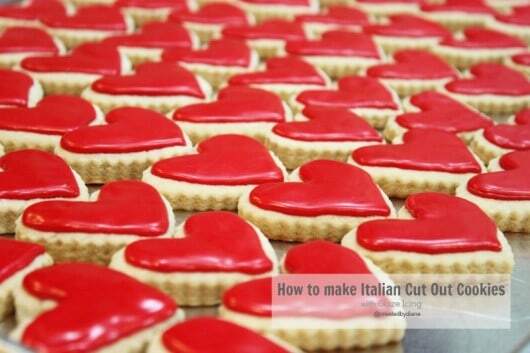 I really LOVE Italian bakeries and especially Italian cookies. These cookies are THOSE types of cookies! They aren’t as sweet as sugar cookies, but then the icing hit the cookie and it’s a truly wonderful combination. This is a great cut out cookie recipe, the cookies rise up nicely, hold their shape and have a cake like quality to them that is irresistible. 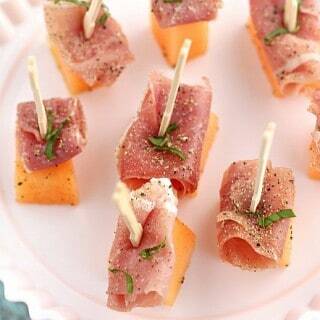 These are tender and flavorful. 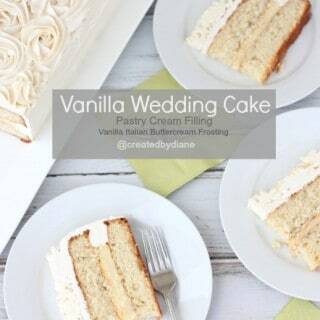 They have a lovely vanilla taste with a sweet icing on top is the perfect addition to them. 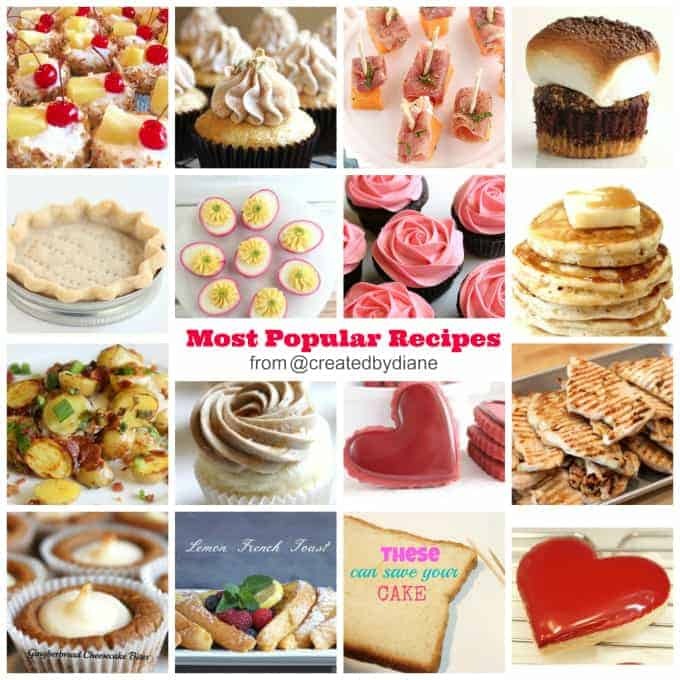 I’ve cut out lots of cookies and when I first started blogging I wrote posts for other blogs and now realize I didn’t share some of those informative posts with my readers. Today I’m sharing an older post and all I will say is my cookie decorating has gotten better and so has my photo taking abilities. But I wanted to share this post with you. See… practice makes perfect or in my case, it gets better with time, perfect…well maybe not yet, but I’m trying! 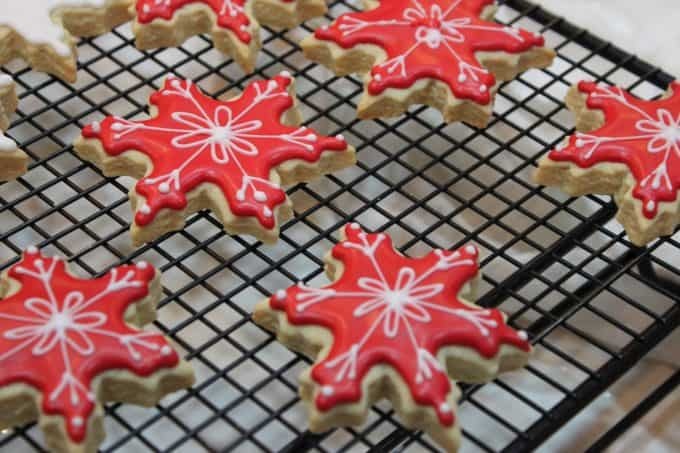 This is still a favorite tried and true cookie recipe and with all the Holiday upcoming baking, you may want to try this one and the fun tip I have for adding sprinkles after the icing has dried. These are so many options with cut out cookies, you can change the shape and colors but having a cookie and icing recipe you can GO TO, is priceless! Begin with a cooled cookie and prepare icing. 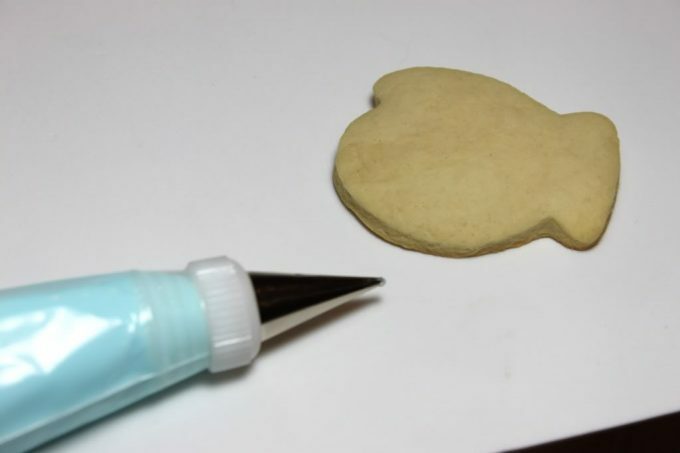 Place icing in a piping bag with a #2 tip for outlining your design. Outline your cookie. 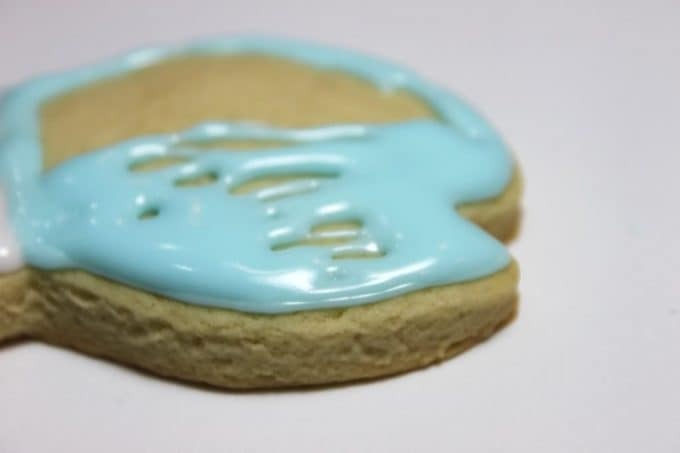 Leave just a little cookie showing so the icing won’t fall off the edge when you fill it. 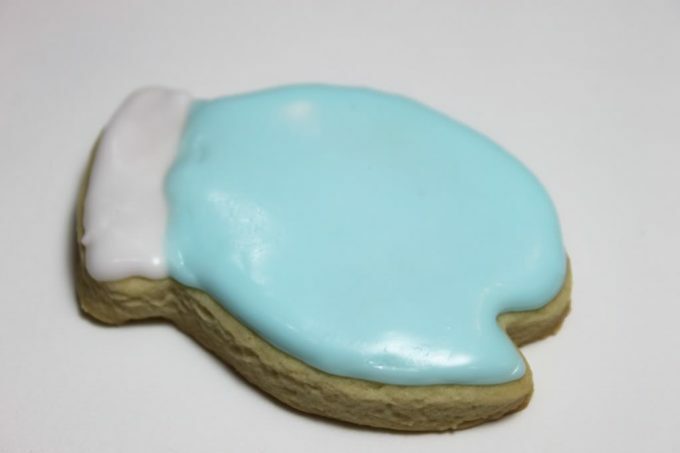 Hold the tip off the cookie and let the icing fall onto the cookie for a smooth line. Don’t stretch the icing. 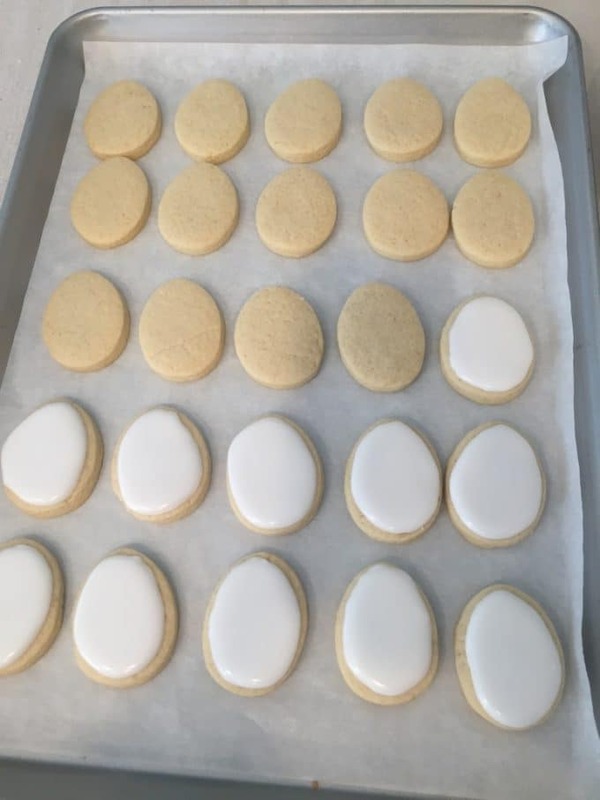 I outline 6 cookies then fill them in, the outline is not very noticeable, but allowing it a couple minutes to set up help the other icing from falling off the edge. Then fill in the icing, you can switch to a #3 tip to fill it in easier. If it’s not filling in completely within 10 seconds use a toothpick or the tip of the icing and swirl the icing to fill in the empty spaces. If you are using two or more colors finish one color first and allow it to set up, then work with the other colors, that way they are less likely to run into each other. which happens more often with darker colors. This is a great trick to get sprinkles to stick on a portion of the cookies especially if you don’t want more icing added. If you are working on a large batch, this works well, once the area has dried I take a small paintbrush and lightly apply a stroke of vodka to the area you want sprinkles. If you are covering the entire cookie in sprinkles then just apply the sprinkles when the icing is still wet. Once the icing has dried (about an hour) you can apply some details without it bleeding. I piped on a simple snowflake with the white icing and #2 tip. Allow your cookie to set overnight. 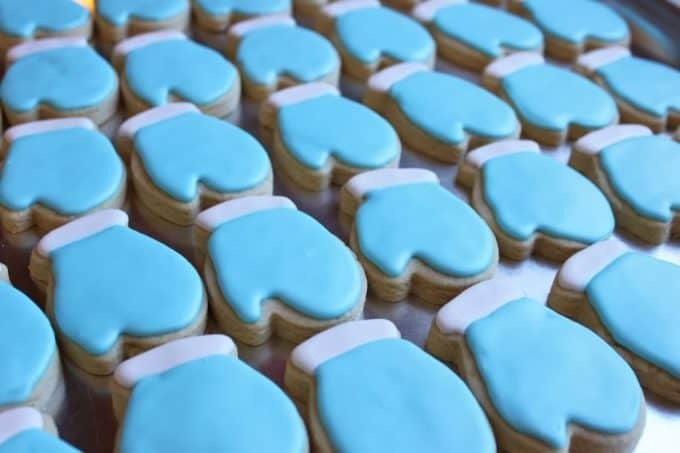 They will not get stale, the icing is covering the majority of the cookie and they will still taste fresh and delicious. This project can be broken up into stages and you can make the cookies ahead of time. When I work on a large project 8-10 dozen with multiple colors, I break it up and work on them for three days especially if I’m wrapping them individually, that takes time. I’ve made multiple batches of cookies for cookie exchange parties, and they are always a huge hit. Ice cookies look so pretty on a tray, they can be any color you prefer. you can coat them in sprinkles or add some to the edges or to one end like on these mittens. 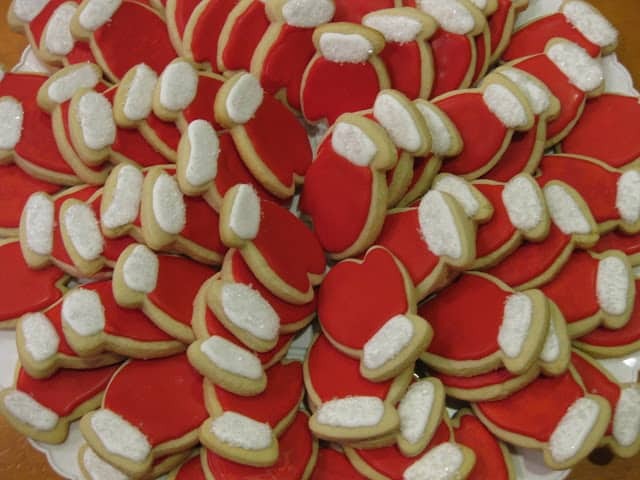 Iced cookies are not only great for Christmas Cookies, but they are also great served all year long, using any shape cookie cutter and any color icing to fit with any occasion. In a medium bowl, whisk eggs and melted butter. In a large bowl stir together flour, sugar and baking powder. Make a well in the center of the dry ingredients and add the egg mixture then vanilla. Mix, until shiny. About 2 minutes. Cover bowl with waxed paper and let the dough stand at room temperature for 20 minutes. When rolling out this dough, don’t be afraid to add flour. It will not make the dough tough. Heat oven to 350 degrees roll out dough to ⅜" thick with flour and cut with cookie cutter. Makes at least 5 dozen (3 inch) cookies. Let cookies completely cool before icing. * updated to add that I now typically add all 6 cups of flour at once and roll the cookies in between wax paper sheets and I don't need to add any additional flour. 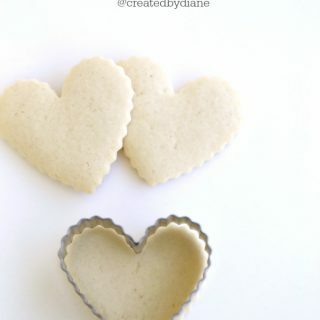 I used to roll the cookies with some flour, each time I would add flour to the dough so it was easier to handle, but the wax paper really has made making these cookies more effortless. In a small bowl mix together until smooth add more milk/water if too thick or confectioners’ sugar if too thin. Add food coloring and vanilla and mix well. I prefer Americolor food coloring. When you pull up some icing on a spatula and drizzle it back into the bowl, the design should disappear in 10 seconds for the correct consistency. 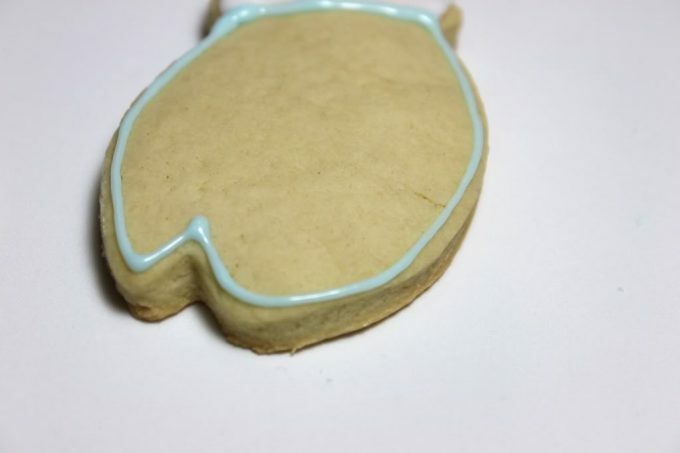 Outline the cookie with a #2 tip and use a #3 tip to fill in the design. 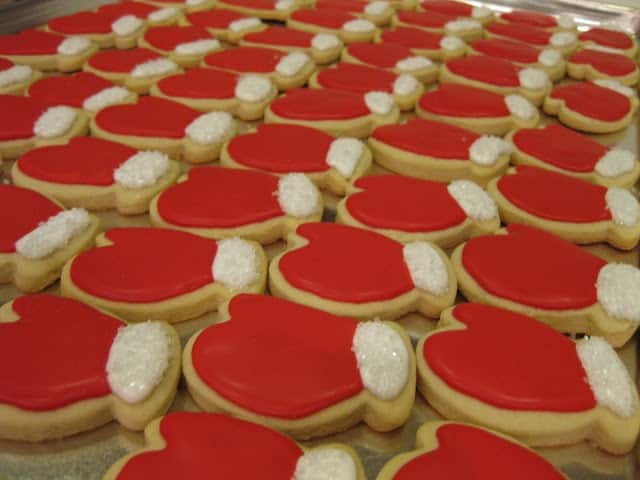 Let icing set on decorated cookies before storing, this takes about 12 hours. 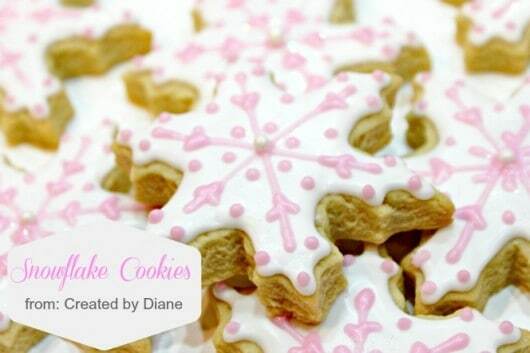 The cookies won’t go stale, the icing is covering the tops preserving the freshness. Add the water slowly to the powdered sugar, you may not need it all or you can add more if you want the icing thinner. You are a great teacher. 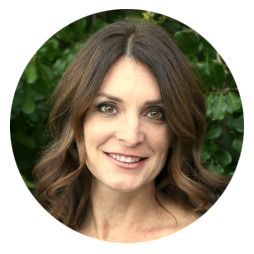 Thanks for all the tips because I am seriously handicapped when it comes to decorating! 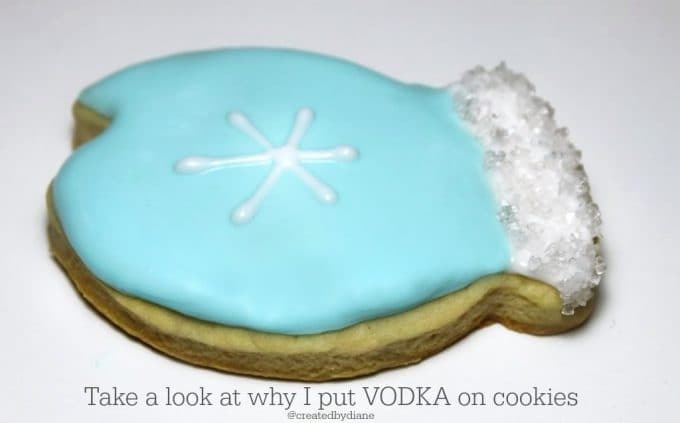 practice makes perfect on icing cookies I’ve found…good luck 🙂 I don’t recall how I came across the tip on the vodka, but I’ve been using it for years. Great post, thanks for the tips! I am completely icing and frosting challenged, but I think I might actually be able to do this. 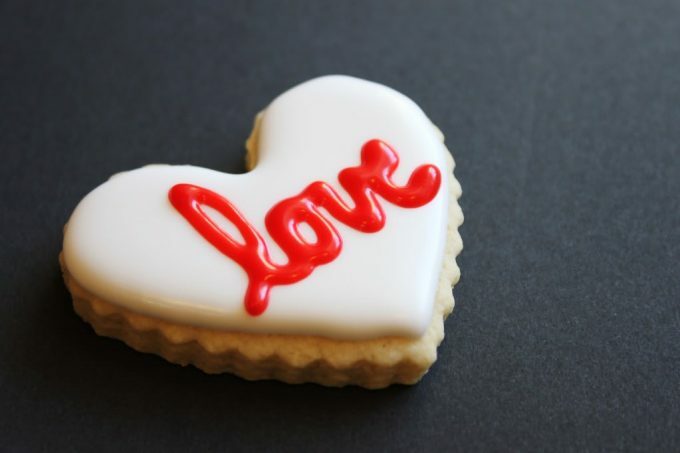 I needed to understand how to make a smooth cookie icing without making royal icing. 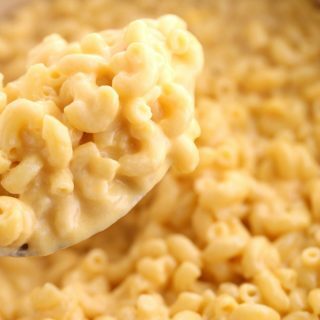 Your recipe is just the ticket! Hello, how does this recipe differ from your Sugar Cookie recipe in terms of flavor, texture and shelf life? How many cookies does this make using what sized cutter and how thick do you roll your dough? My Italian cookie recipe resemble Italian cookies you’d get in an Italian Bakery, they are more substantial, typically rolled thicker and they fluff up when baked nicely. I LOVE them, they are not a snappy as sugar cookies, they bake up firm, but not in the same way, there are more eggs in this recipe makes a lot of cookies. 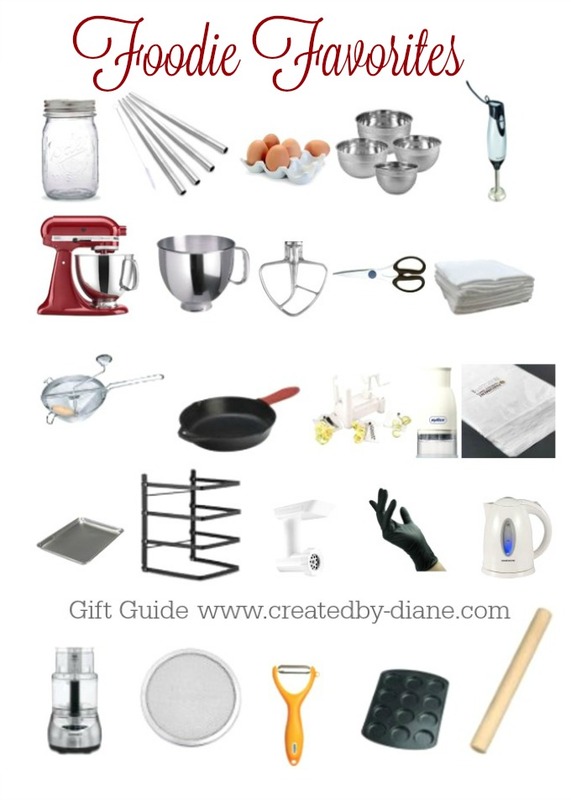 6-8 dozen depending on the size cookie cutter you use. a 3-3 1/2 inch snowflake makes about 8 dozen. I roll them thicker than 1/4″ I roll my sugar cookie at 1/4″ sometimes I use 3/8″ dowels sometimes I just eyeball it. The shelf life is good on the Italian Cookies, a week at room temperature. They freeze wonderfully, I’ve frozen uniced and iced cookies for 3 months and defrosted they taste great. Be sure to get the air out of the packaging well and double wrap them, I most often wrap the cookies individually in food/cellophane bags.